Update : Now with guided tour of Bedford! 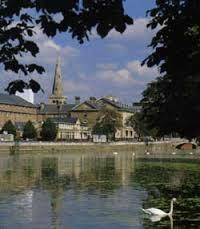 Bedford’s River Great Ouze offers a wealth of enjoyment from the showpiece of the town’s embankment to the peace of the English countryside to the East and the West. See the rolling countryside, starting at the old Kempston mill, continuing to the immaculate embankment gardens and fine water meadowland, watching the rowing and water borne activities that have made the river an integral part of the life of North Bedfordshire. After we will return to the centre of Bedford for a guided tour of Bedford, with lots of interesting facts about Bedford’s buildings and previous inhabitants. Finally we will return to Harpur Square to enjoy the sights and smells of the Bedford Victorian market and get into the festive mood for christmas! Meal provided? : Bring water & lunch if you wish..there will be lots of yummy food at the market! Other information: There will be a guided tour of Bedford, with lots of interesting facts about Bedfords buildings and old inhabitants. This entry was posted in Blog, Local walk, News, Past events, Walks and tagged bedford, Christmas, market.